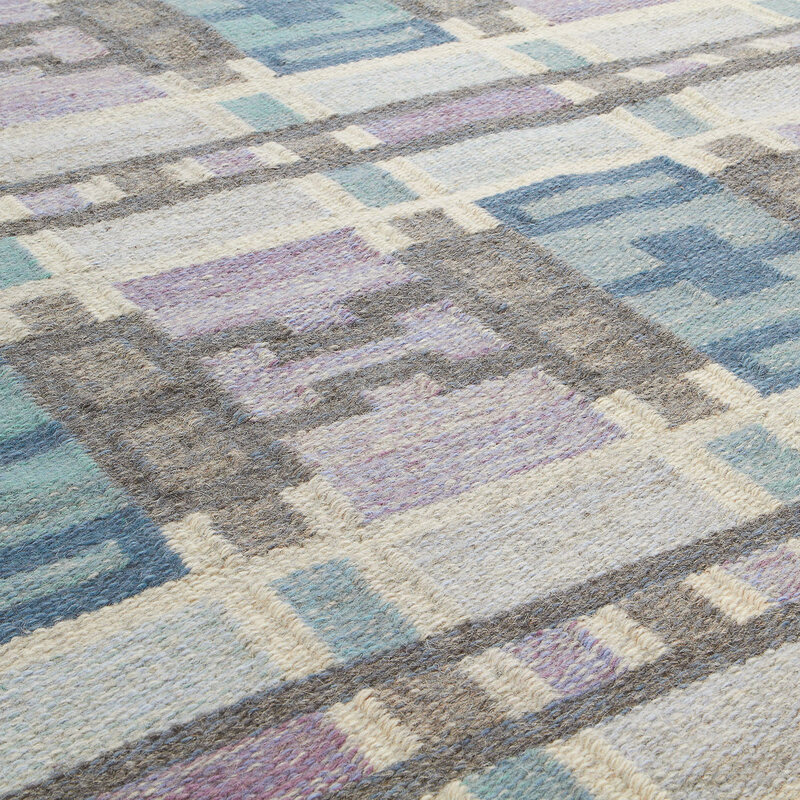 The soft, yet sophisticated colors in this rug are why people fall in love with Swedish textiles. 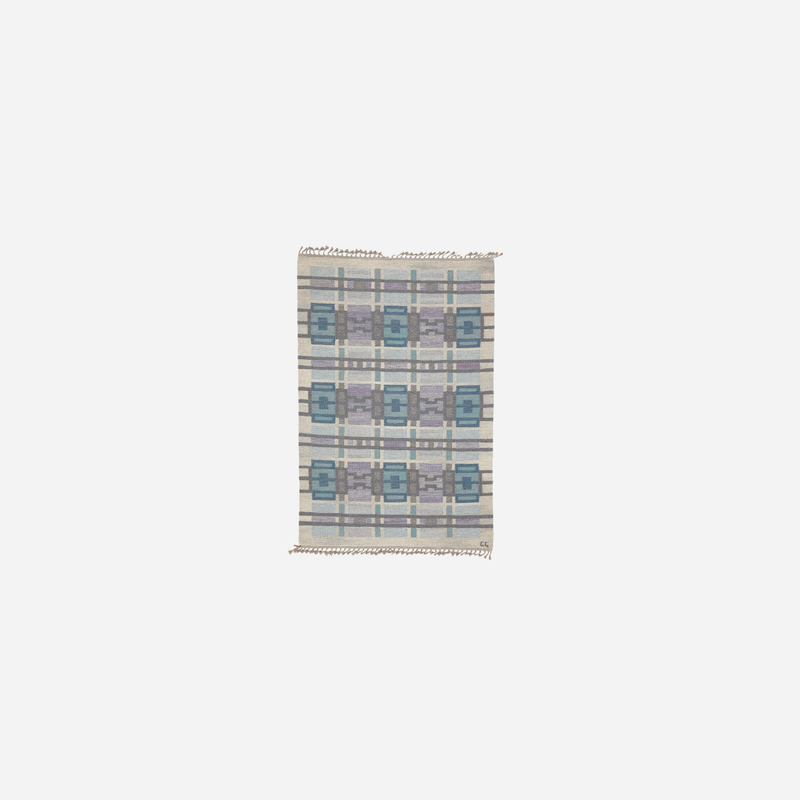 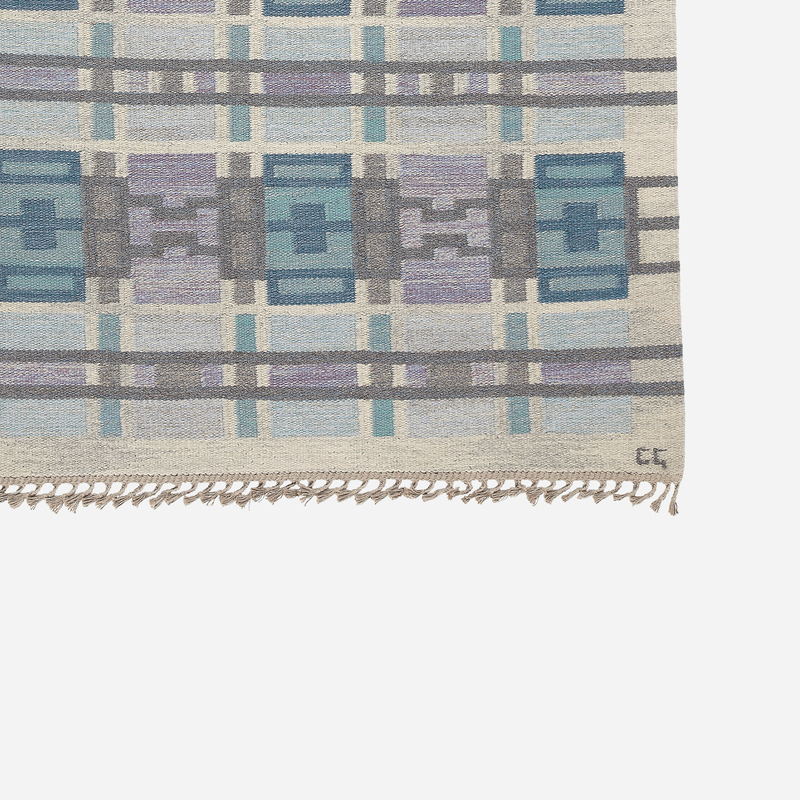 Set on a neutral field, the elegant use of blues and purples bring this rug to life. 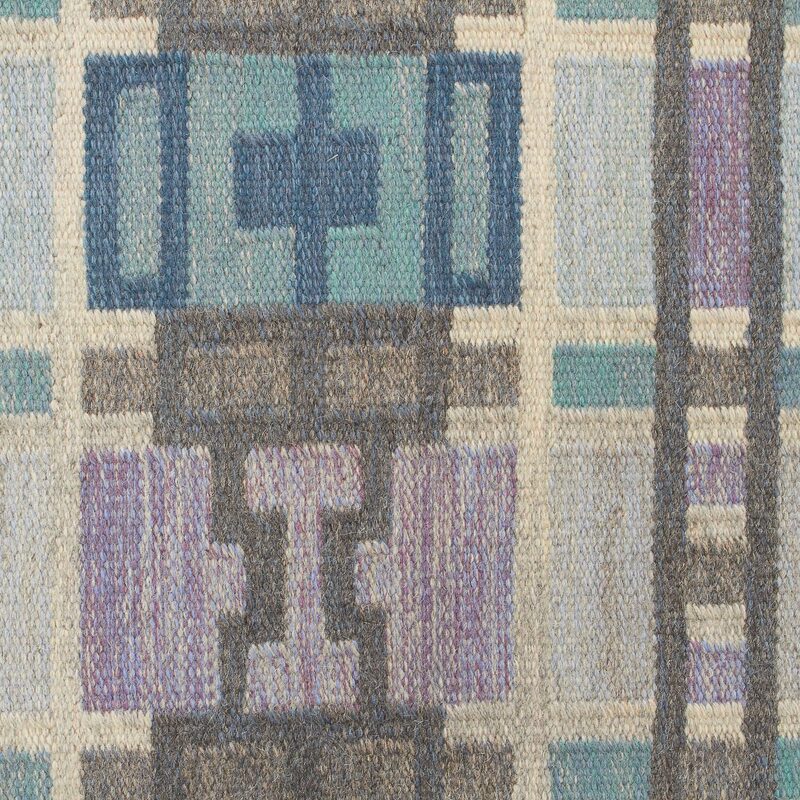 This is one of the most restrained designs we’ve found, yet the colors are very mature and complex. 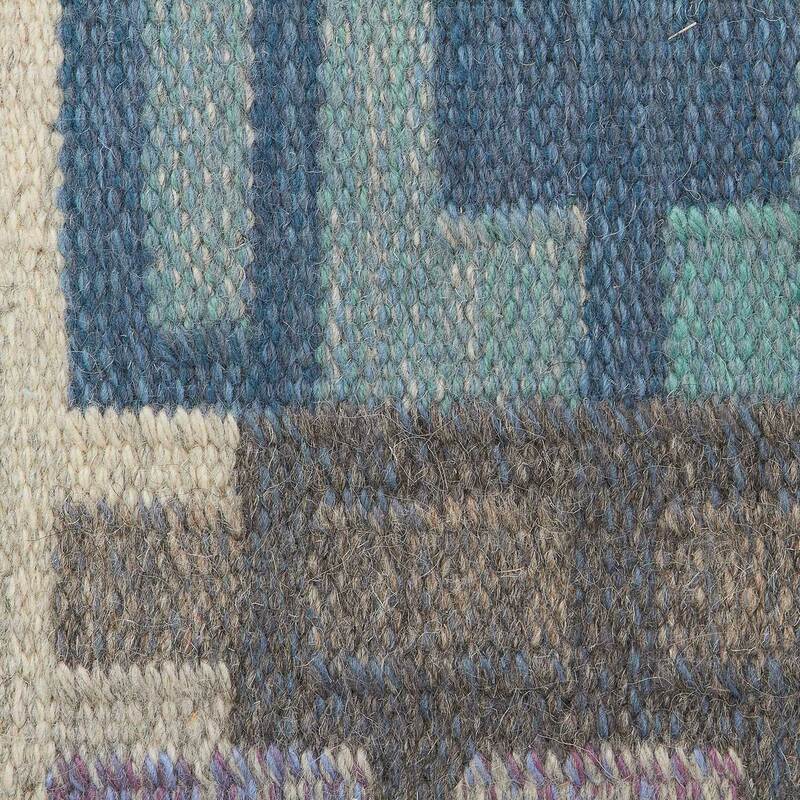 Look closely at the wool to see the variety of colors mixed into every knot. 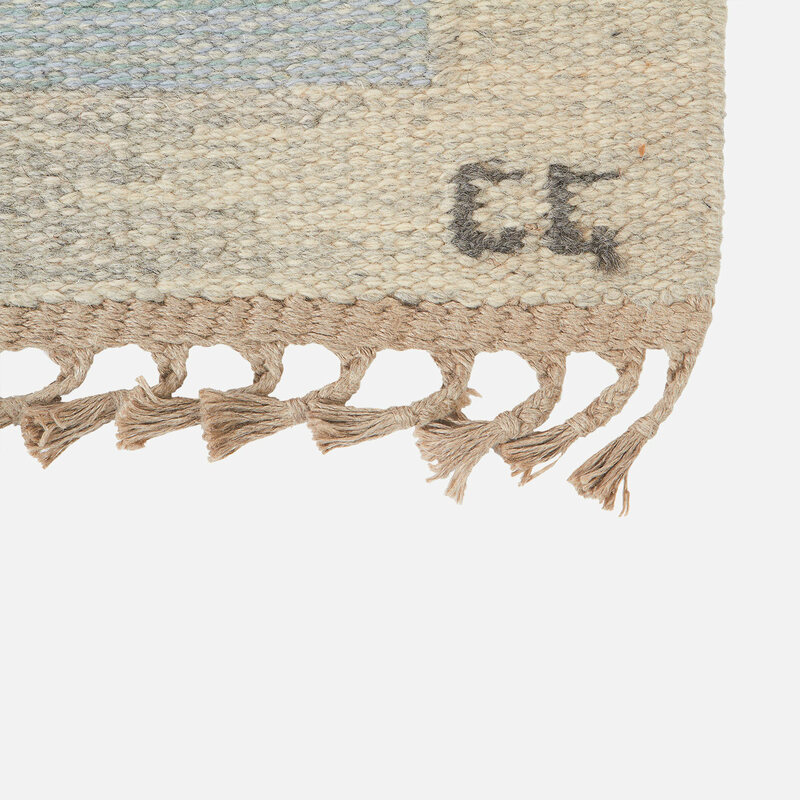 The artist, Judith Johansson, designed some of the most beautiful and modern-looking Scandinavian textiles of the 1960’s.